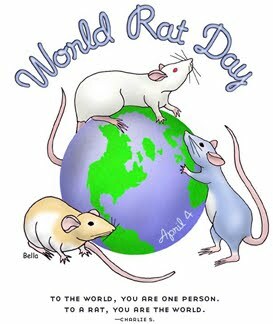 Happy Easter & World Rat Day! This year World Rat Day falls on Easter! Here are the boys & girls celebrating Easter and sharing a Peep! P.S. The Rat Chatter Forums is holding a themed photo contest with 3 prize packages! Deadline is April 23rd! Click here for details!